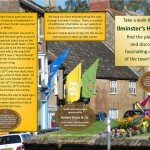 Ilminster celebrated its millennium in 1995 and is an ancient Market Town. 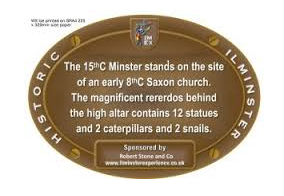 This event celebrates its heritage, from the most significant to the everyday, in a series of carefully researched historic tablets displayed around the town in shops and private houses. Pick up an Historic Trail leaflet from Ilminster Tourist Centre at the Ilminster Arts Centre, East Street or click on the leaflet icon below.